The working group on extractive industries launched in 2012 our working group with a statement to the third People’s Heath Assembly. A network of health justice activists across the world, the group seeks to support members in struggles against extractivist industries. 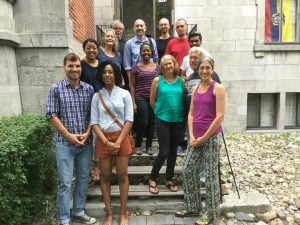 « We are united by our common desire to protect our communities in the face of the onslaught of natural resource exploitation. » Join us! Contact Baj (Canada) or Sarah (USA).